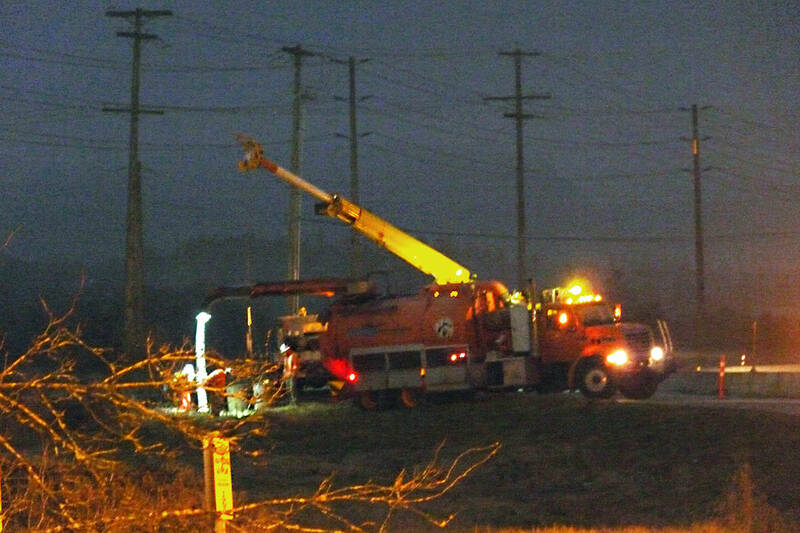 Jan. 26, 2019 8:20 a.m.
A crash involving two vehicles knocked down a power pole and cut service to hundreds of customers in Langley early Saturday morning. Four people were taken to hospital as a precaution, one with non-life-threatening facial injuries. Langley RCMP said a southbound 2009 Volkswagen Jetta left the road and hit a power pole on Glover Rd. near 64 Avenue, just before the Mufford overpass around 3:15 a.m.
A Buick sedan that was close behind the Jetta ran over the fallen pole, which had landed on the road. RCMP Cpl. Holly Largy said a violation ticket would be issued against the driver of the Jetta. B.C. Hydro reported power to 244 customers was cut to an area south of Maxwell Cres., north of 56 Avenue, East of Glover Rd. and west of 232 St.
B.C. Hydro spokesperson Kevin Aquino told Black Press a “full pole replacement” was required. Traffic between Glover Rd. 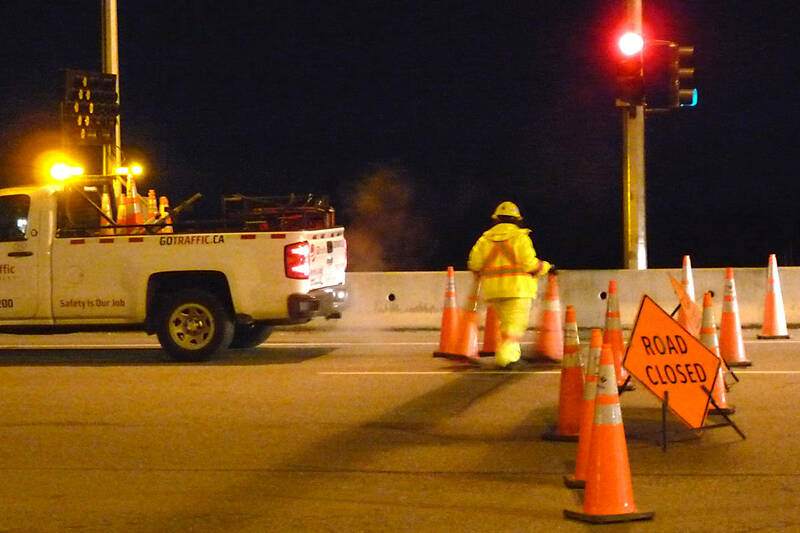 and 64 Avenue was closed off while repairs crews worked to fix the outage. Service was restored shortly before 7 a.m. and limited traffic was allowed to resume.